Nights have that special “something”. You can’t resist their charm. Not everybody falls asleep during that time. For some people it is work time. 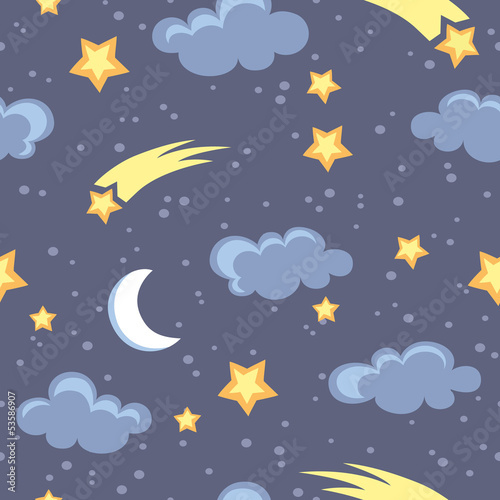 The photo wallpaper with the night sky will be a perfect complement of your child’s room. Let him fulfil his night-time fantasies. Catch a falling stars in your dreams.